To identify the predictive value of demographic and clinical factors for determining changes in physical and depressive symptom among hepatocellular carcinoma (HCC) patients over time. We performed a prospective cohort study of 128 patients newly diagnosed with HCC in Taiwan. Each patient had four time-point data after the follow-up. Patients’ physical symptoms were evaluated with the Edmonton Symptom Assessment System (ESAS). Psychological symptoms were evaluated with the Hospital Anxiety and Depression Scale (HADS). Clinical factors and demographic characteristics were predictors of physical and psychological symptoms, as estimated by a generalized estimating equation (GEE). We found that patients who had a smoking habit and Barcelona Clinic Liver Cancer (BCLC) Stage B disease underwent radiofrequency ablation therapy (RFA) or liver resection, and those who had higher alanine aminotransferase (GPT) level reported more symptoms from baseline to 1 month. Symptoms increased from baseline to 3 months in elderly patients and patients with higher GPT levels. 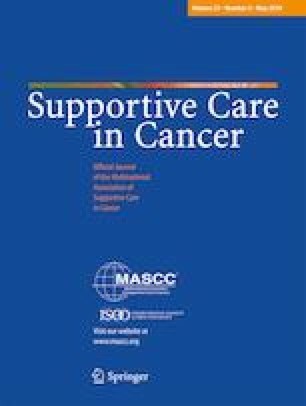 Additionally, patients who had jobs, underwent liver resection, and had BCLC Stage C disease had increased symptoms of depression from baseline to 1 month; in particular, BCLC Stage D disease had negative long-term effects on depression scores from baseline to four-time points following therapy. Advanced BCLC stage and undergoing RFA or liver resection were most closely associated with worsening physical and psychological symptoms over time. Clinical professionals should pay attention to these factors that affect physical and psychological symptoms during treatment.